All modern laptops come with built-in microphone, which frees from worries about buying it separately. But it happens that the inbuilt microphone is not functioning, and if the problem is not the fault of the microphone ought to go to the system settings. Consider the most universal and simple way to unmute the microphone, independent of installed drivers and audio card of your computer. The first paragraph of step instruction for Windows 7, one for Windows XP. Images are for Windows 7. We find in the tray the loudspeaker icon and click on it right mouse button. In the menu that appears select "Recording devices". Open "Settings", the select "Properties". 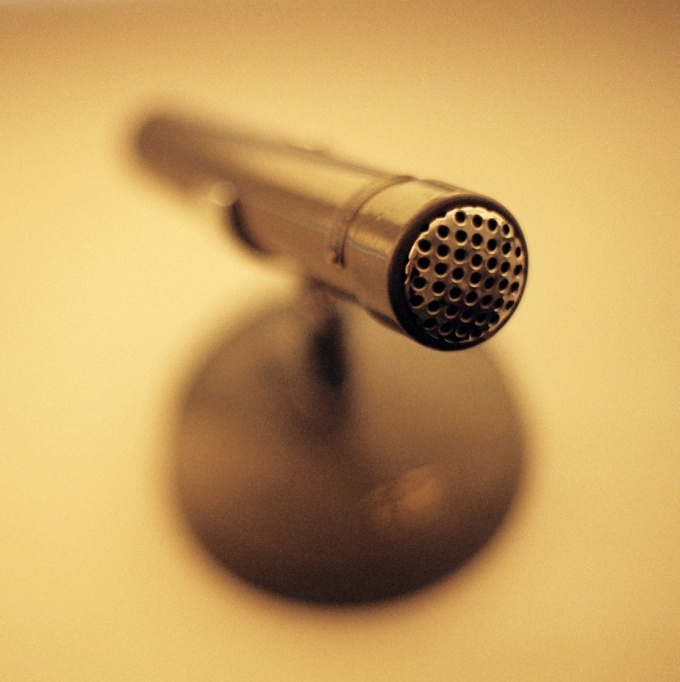 Find and select by clicking the left mouse button the desired microphone. Find "Microphone" and put a tick opposite it. OK.
Click the right mouse button on the microphone and select "Enable". If the icon has become colored and it did the tick, all is done correctly. Go to the menu "Volume" (see first step). Looking for the slider under "Microphone", move it to the desired position (adjustable sensitivity of the microphone). Fine-tune the microphone allow utilities that depend on the type of your sound card. One of the most common – "Realtek Manager". There you can set effects such as noise reduction and echo cancellation, so you can set the distance from the microphone to the speaker and so on. If multiple microphones , you need to determine you can just knock next to him and watching the reaction on the green bars icon next to the device(see image in step 4). The one near which the band jumps is needed. 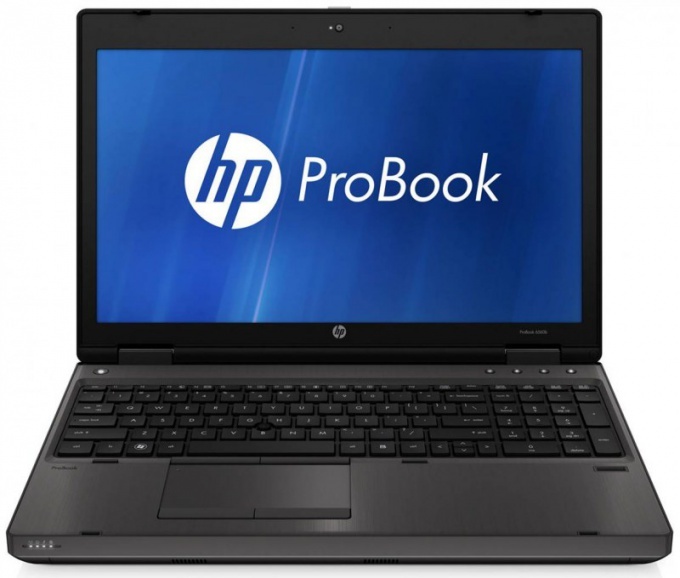 Enable the built-in microphoneand in HP laptops is the same as in other computers running the Windows operating system. The setup is similar. Open the setting of the volume control. 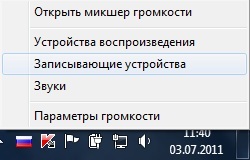 To do this, click the right mouse button on the corresponding icon in the programs running in the background (located to the left of the clock). Open the desired menu item. On your screen a window will appear with a few settings, make sure to configure the microphone is unchecked next to "Off", also check at what level is the volume. If the microphone still does not work, open the control panel menu settings sound and audio devices. 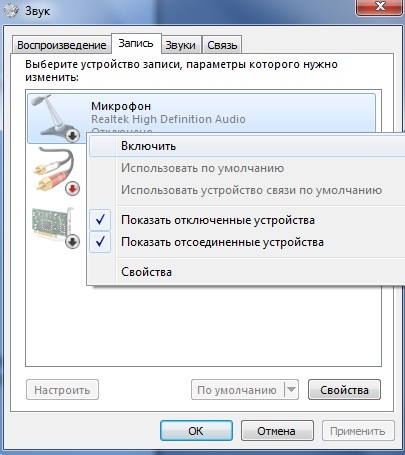 In the new window that appears on the very first tab "Audio" choose a device for sound recording default existing microphone and adjust its volume. Try also to check the device by pressing the appropriate button. Make sure that the microphone was not turned off it settings any program. To do this, open the application configuration involved earlier in the process, the equipment, and adjust the volume of the microphone to the desired level. Make sure that your sound card driver is installed. You can find them in the list of installed programs on control panel computer. Also, try upgrading them, for this you will need an Internet connection. The latest driver you can find on the developer's site of your sound card or motherboard to do this check in advance for their model. Many devices include automatic software updates. 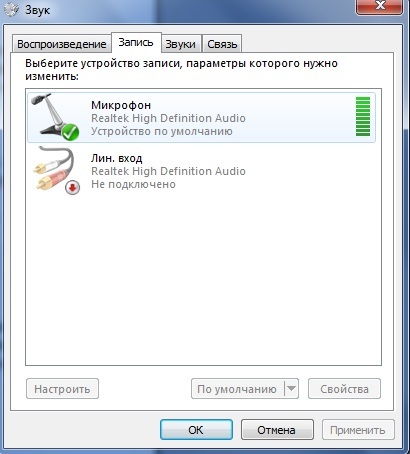 Try to connect an external microphone to the respective connector on the sound card in order to determine which of the two components requires configuration to turn on the device, since it is possible that you need it to configure your sound card. Make sure that the microphone is definitely present in your model of laptop. Often update the driver of your sound card. Disable built-in laptop or webcam microphone is often difficult, particularly in cases when the driver is set with the software on the motherboard. The microphone can be turned off in any case, it just depends on your computer configuration. Find out your computer's configuration regarding the connection devices of the web camera and microphonethat is built into the laptop. You can do this online by reading detailed reviews of the characteristics of your model. If the microphone and camera have the same wire connections to the motherboard, disable it will only have with her. Go to device Manager in the properties menu of "My computer" on the hardware tab, or by using the shortcut keys Win+PauseBreak. Find your adapter to record audio and video in the opened list of equipment and disable it using the menu of the right mouse button. In this case, disconnect the microphone. If the devices have different wire connections, find a separate audio recording device and unplug it separately. Insert the external microphone to the appropriate connector on the sound card of your laptop. After that, check out if the embedded device, as is usually the default in most cases. After that, go to control sounds and audio devices in the control panel of the computer, and then click hardware settings to record audio by default in the drop down menu on the appropriate tab. Select the external microphone as the default device, if this was not done automatically. Please note, tripped the internal microphone, but only after you apply the changed settings. If it works continue, reduce its volume to a minimum. If your microphone is built into the detachable web camera just turn it off or adjust the settings in the utility that is installed with the device driver to carry out the functions of management. Do first check in device Manager. Portable computers have long become technical devices with which to communicate while in different parts of the world. Earlier it was possible only by sending letters via e-mail. Now, thanks to the built-in microphone appeared an opportunity of voice communication using a laptop. However, there are situations when built-in microphone must be turned off. Read the user manual of your portable computer. All models laptops individual. Some have a separate key is responsible for switching on and off the built-in microphone, others do not. As a rule, the modern notebook has a built-in microphone in addition to a dedicated line output, through which you can connect an external microphone. On most modern models have a hardware switch. Thanks to this device does not need to make any changes to the settings. 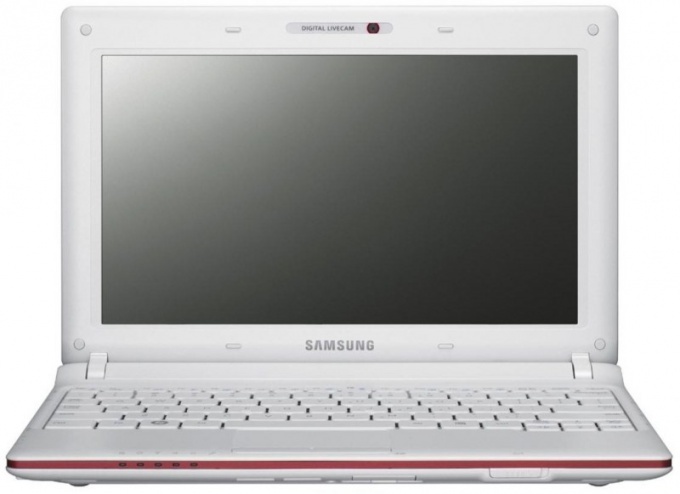 The system will automatically shut down built-in microphone as soon as you connect the external via the line output of your laptop. Click "start menu" and select "control Panel". Next click "Sound". At the top select the tab "Recording". You will now see a list of working MICS. Usually there's two of them – "Microphone" (it's embedded in your phone device) and "line"(the external microphone that you have connected to the laptop). Then click "Apply" and "OK". Now your built-in microphone is turned off. This sequence is relevant to portable computers that are running Windows 7 other operating systems this may vary slightly. Also you can temporarily switch off the built-in microphone directly from the interface of practically all software for voice communication. It is necessary to read the user manual to this program. In most cases you just need to press a specific button in the program window. Turn off built-in microphone mechanically in that case, if you want to be safe from his arbitrary inclusion or from unauthorized access to your machine. For this you need to disconnect the microphone from the internal connector. Find sound hole. If it is located on the laptop monitor, then disconnect only need to remove the front bar. Disconnect all plugs. Underneath them, locate the bolts. Gently Unscrew them. Then open the latch with a plastic screwdriver or credit card. Locate the microphone and gently pull it from its slot, unplugging the pad. 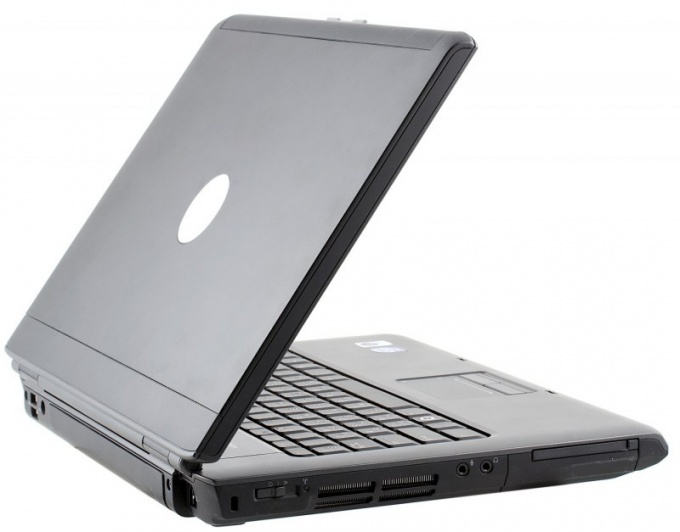 If the microphone is located on the bottom of the laptop, produce a partial dismantling of the case and in the same way, disconnect the microphone. The microphone can be completely pulled out or leave inside the case, just disabling the block.